Salary INR 2,00,000 – 4,00,000 P.A. *Identifies business opportunities by identifying prospects and evaluating their position in the industry; researching and analyzing sales options. *Sells products by establishing contact and developing relationships with prospects; recommending solutions. *Maintains relationships with clients by providing support, information, and guidance; researching and recommending new opportunities; recommending profit and service improvements. *Identifies product improvements or new products by remaining current on industry trends, market activities, and competitors. *Prepares reports by collecting, analyzing, and summarizing information. *Maintains quality service by establishing and enforcing organization standards. *Maintains professional and technical knowledge by attending educational *workshops; reviewing professional publications; establishing personal networks; *benchmarking state-of-the-art practices; participating in professional societies. *managing campaigns on social media. 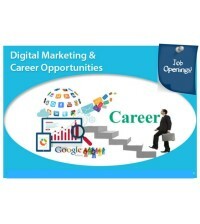 Salary:INR 2,00,000 – 4,00,000 P.A. 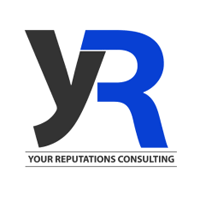 Your Reputations Consulting is a new generation Online Reputation Management firm based in Delhi NCR with a team of 100+ professionals from various backgrounds . Our team consists of experts from technical, marketing, legal and PR background, who have vast experience in building and managing online reputation. Our continuous research and experience gives our consultants the edge over others to handle your online image and reviews efficiently and helping you building your business. We have the ability to assist you to run your business in desired and positive environment. Several Corporates/Companies from different industries and geographies have entrusted Your Reputations Consulting with the task of managing their Online Reputation Management and Brand Building activities.